FRANKFURT -- Volkswagen Group agreed to compensate a supplier to end a six-day standoff that halted Golf and Passat production in Germany, people familiar with the matter said. The amount is well below Prevent Group's initial demands seeking about 58 million euros ($66 million) to cover factory alterations made in preparation for a 500 million-euro order that VW canceled, said the people, who asked not to be identified because the two sides agreed not to talk publicly about the deal reached on Tuesday. Sueddeutsche Zeitung reported that the agreed-upon figure is 13 million euros ($14.7 million). As part of the settlement, VW will continue purchasing parts from Prevent units for at least six years in the future, the people said. The two sides agreed not to seek further damages from one another over the current feud, while VW reserved the right to pursue claims in the future if parts from the Bosnian supplier don't meet the automaker's quality standards, they said. Prevent's ES Automobilguss and Car Trim units will restart deliveries as soon as possible, and Volkswagen's affected factories will gradually return to normal production, the companies said in a joint statement on Tuesday. They didn't release any details. 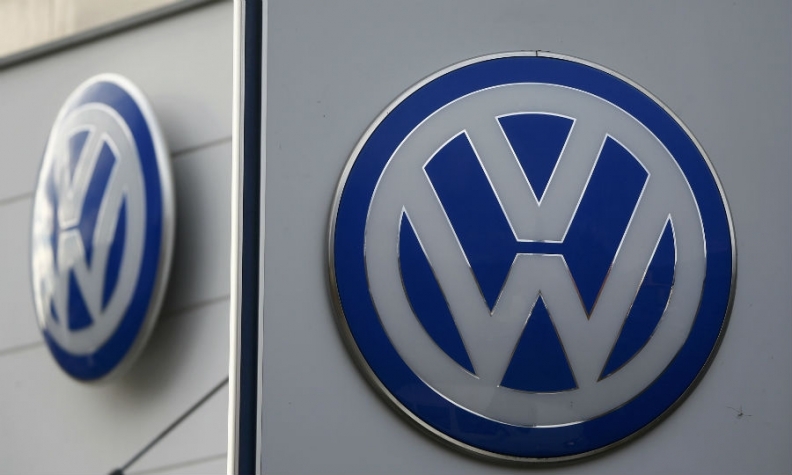 The clash with VW has sparked concerns among workers at ES Automobilguss over possible cutbacks despite the agreement reached with the parts maker's largest customer, according to labor union IG Metall officials. At a staff meeting Tuesday afternoon at the unit's main site in Schoenheide, Germany, management evaded questions over job security, IG Metall's regional unit said in an e-mailed statement. ES Automobilguss's former owner, the Loeffler family, last year sold the company to Prevent after it had supplied VW with parts for several decades. The surprise move caused insecurity over possible strategy changes among staff. ES Automobilguss said it had agreed a "long-term partnership" that would secure more than 400 jobs at the company. Still, the German deal did not extend to differences between suppliers and VW's Brazilian unit, which said it had broken off supply contracts after nearly a dozen failed renegotiations and was going to court to recover its machinery. VW halted work at six factories across Germany, affecting nearly 28,000 workers, after two subsidiaries of Prevent took the unprecedented step of withholding deliveries of seat and transmission components amid the contract dispute. The supplier's move represented a rare pushback against Volkswagen, which is accustomed to strong-arming parts makers. The dispute complicates efforts to cut costs at VW's namesake brand and recover from an emissions-cheating scandal that has led to record fines. Amid component shortages at assembly lines, Volkswagen had started sending thousands of workers home on Thursday. The shutdown expanded to production of the Golf, Europe's best-selling car, on Monday, when the company said it was making arrangements for short-time work, a program that involves the government compensating employees for some of their lost wages. The plan faced resistance from some German politicians, who balked at bearing costs for the dispute and put pressure on Volkswagen to resolve the dispute. Volkswagen, which employs more than 600,000 people worldwide, had key facilities, including its main plant in Wolfsburg, laid low by Prevent as a result of the carmaker's just-in-time manufacturing system. Under the widely used production strategy, components are delivered straight to the assembly line rather than stored in warehouses, cutting costs but leaving little buffer in the event of a disruption. Such incidences, however, are rare since suppliers rely on auto manufacturers for their livelihood.